Start selling and buying parts now: Join for free. Search 35,193,815 parts from 1324 suppliers worldwide. 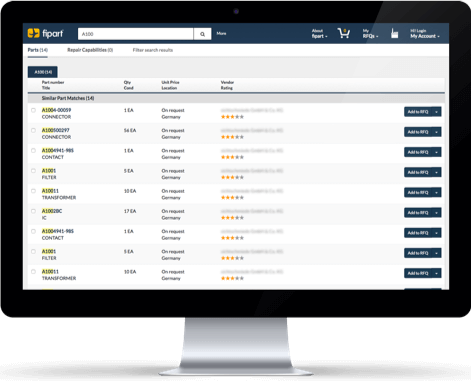 Discover the aviation industry’s first quality rating system that helps you make the right purchase decision. As an international supplier LEKI is more than satisfied with fipart as a sales channel. They do a really good job providing an up to date webservice that delivers scores of RFQs in a quality far above average. By using fipart's real-time information, it allows us to quickly respond to customer requirements and helps build stronger relationships with our customers. It is easy to use and the staff at fipart.com is great to work with. Ready to kickstart your online business with fipart?